It hardly needs stating that we live in turbulent times. 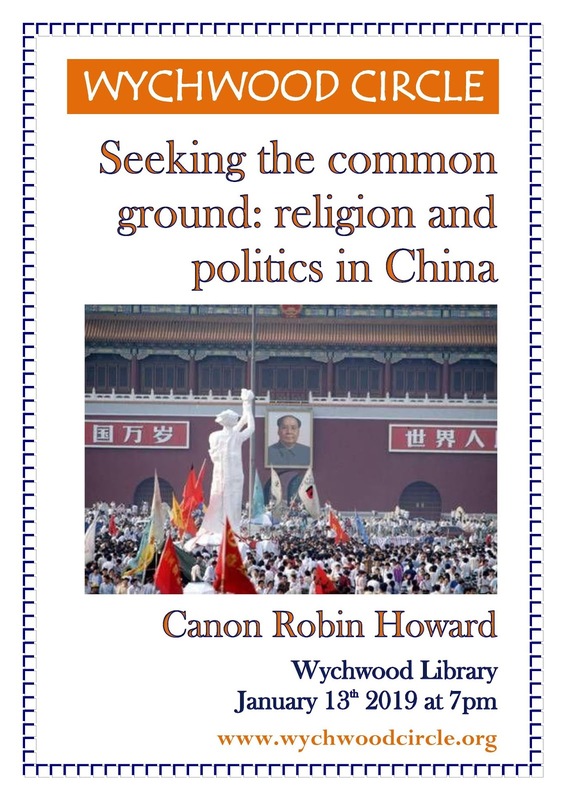 As yet another deadline comes and goes and the UK increasingly becomes the focus of incredulity, hilarity or pity across the world, it is opportune that Wychwood Circle has two speakers in the next couple of months to help us think through a moral (and inevitably political) stance on the Brexit divisions. Brexit has flung 65 per cent of the population, according to research by BritainThinks, to two opposing poles. ... So the minority in the centre, what I call "Brexit non-binary", ... have endured three years of roiling, upset guts. I don’t believe that non-binary minority are alone in having had their digestion or even their psychological stability upset by the madness of this recent period. Commentators (including our next guest speaker) have written about underlying anxieties, families divided, mental health damaged (64% reported this in the same survey), vital decisions postponed, non-British EU nationals struggling to confirm their ‘settled status’, etc. And all this on the basis that 37% of the electorate voted one way in a Yes/No referendum three years ago! TRIBES, TRUTH ... AND RECONCILIATION? Broadcaster and columnist (and former Canon of Christ Church, Oxford) Angela Tilby was one of the first to speak out about the division of the country into ‘two tribes’ – and that was a year ago. It seemed slightly exaggerated at that time to ask our second speaker, South African academic and priest Peter Silva, to speak under the title ‘Truth and Reconciliation’. One year on, it seems anything but extreme to imagine we might have to hold some sort of similar process to try and bring the country together again. The Archbishop of Canterbury has suggested that church people invite those of opposite views to tea on a Sunday afternoon; it may take more than that. 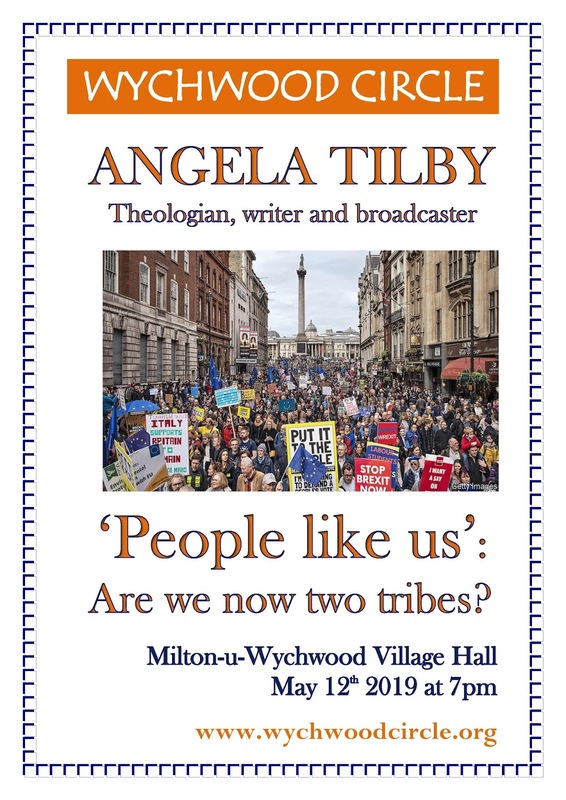 Angela Tilby will join us on May 12th in Milton Village Hall to speak about ‘People like us’: are we now two tribes? Peter Silva will speak at Wychwood Library on June 9th on the topic Truth and Reconciliation, including a survey of the South African experience and its relevance to the UK and US today. Sue Leigh’s new collection of poems, Chosen Hill, is out now from Two Rivers Press. She has won the BBC Proms Poetry Competition and Carol Ann Duffy’s Shore to Shore competition and her work has been published widely in magazines and journals including the Areté, Oxford Magazine, The Spectator and the TLS. 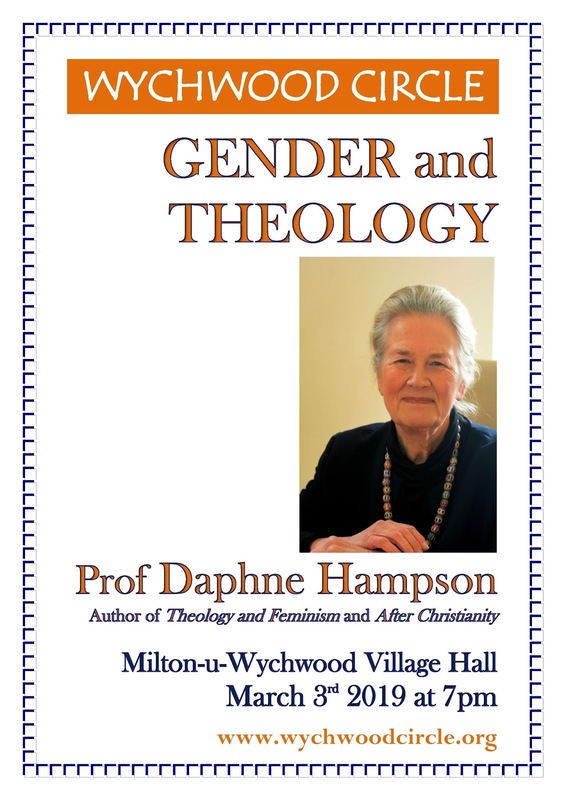 Living in rural Oxfordshire, she reviews regularly for PN Review and teaches at Rewley House, Oxford University’s Department for Continuing Education. Wychwood Circle has always been about breaking down barriers and exploring reality. From our earliest days we met monthly in Wychwood Library, sharing the space and talking openly about our differences. Some of us were keen to resist the dualisms which suggest that you must be on one side of the debate or the other; we refused to accept what Nick Baines has called ‘the polarising premises that the ideologues represent as the only options’. In June in our remote Cotswold village, we will be discussing ‘Truth and Reconciliation’, a phrase associated with post-apartheid South Africa but not without its resonances in contemporary Britain (or the US or Hungary or the Philippines …). To help us do so will be someone with personal experience of violence in South Africa, of the sort which some are threatening in our own divided country if they do not get their way. The devil has the best tunes; do the populists have the best slogans? One wonders what happened to civilised discourse and moderate opinions. Is it all about resentment of inequality, distrust or even fear of big business and/or politicians, of national and international structures such as ‘the world order’ which originally grew out of half a century of global conflict? And is it partly a matter of language, the language of division and extremes, of soundbites and slogans? As thinking, concerned individuals in our small community, some Christian, some of no particular faith or organised religion, some definitely atheistic, we cannot ignore politics, however uncomfortable it may seem. However, we try to go below the headlines and the slogans and in the next couple of months we will consider identity at a local level (including daily violence in Northern Ireland in the Troubles) through Anna Burns’ Milkman; an alternative to the established economic system which some would say has played a big part in the situation we are in (Kate Raworth’s Doughnut Economics); as well as the big issue of gender, relating it specifically to theology and the male-dominated version of religion which has dominated history to date (March 3rd, Daphne Hampson). Join us at the February 10th discussion of three books (see below). Please do join us - and bring a friend - on February 10th at 7pm in Wychwood Library. WHAT MATTERS MOST? IS A CAUSE EVER WORTH DYING FOR? 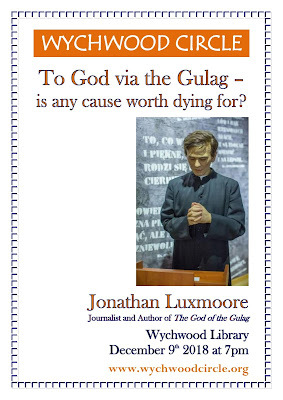 Our next event, on December 9th, is a talk entitled 'GOD OF THE GULAG - IS ANY CAUSE WORTH DYING FOR?' which will consider martyrdom both in Eastern Europe and in our own wider context - not least the theme of this year's events: What matters most? We are delighted to welcome Charlbury resident Jonathan Luxmoore to address this topic, the subject of his much-acclaimed two-volume study published in 2016. JONATHAN LUXMOORE has been Europe correspondent in Oxford and Warsaw for Catholic News Service (Washington/Rome), Ecumenical News International (Geneva) and The Tablet (London) since 1988, as well as a staff commentator for Polish Radio's First Programme and freelance writer for newspapers and news agencies in Europe and the US. He was based in Poland full-time from 1988 to 2001, and his coverage of religious affairs during the transition to democracy in Eastern Europe won five Catholic Press Association awards, and the Silver Award from Worldfest Houston for the ABC TV film "A Time to Build" (ABC and PBS TV 1992). More below. He read Modern History at the University of Oxford (1976-1979) and studied International Relations at the London School of Economics and Political Science (1986-1989), and has been a member of the Royal Institute of International Affairs (Chatham House), the Churches East-West European Relations Network (CEWERN) and the International Editorial Board of the journal Religion, State and Society. He was also a co-founder in 1996-98 of the Polish chapter of Transparency International, the world's largest anti-corruption NGO. His books include The Vatican and the Red Flag: The Struggle for the Soul of Eastern Europe (London/New York 1999), Rethinking Christendom: Europe's Struggle for Christianity (London 2005), and Szepty Boga (Krakow 2016 - in Polish). 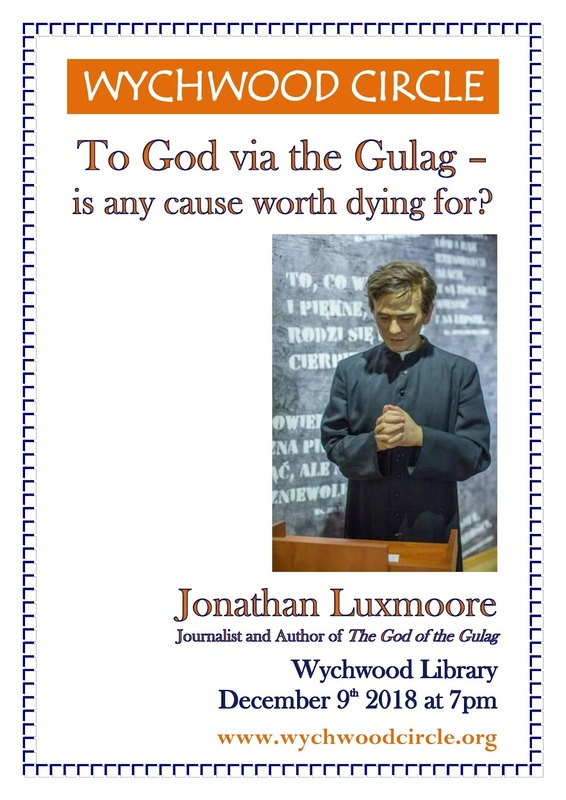 His two-volume study of communist-era religious persecution - The God of the Gulag: Martyrs in an Age of Revolution, and The God of the Gulag: Martyrs in an Age of Secularism - was published in 2016 by Gracewing. 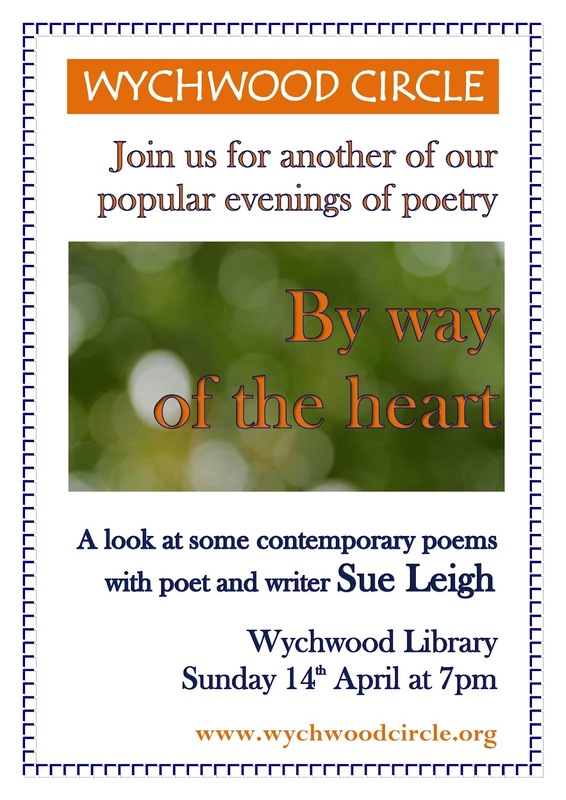 Please join us at Wychwood Library on Sunday 9th December for this special event.